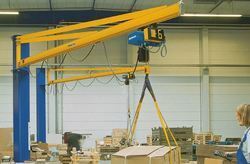 Demag make Jib Cranes ranging from 125 Kgs upto 5000 Kgs capacity. 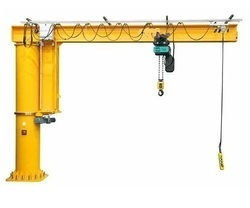 Demag slewing jibs cranes are a cost-saving addition to integrated handling systems. In some cases, this handling equipment is often the most economical solution. This applies to storage yards, on loading ramps or in buildings where other equipment cannot be installed due to structural limitations.